In this tutorial we look at a few different ways to backup all the information on your Mac. Several lessons are included on how to properly use Time Machine as a local backup. Time Machine is is built into every Mac and is going to be the best local (on-site) option for most users. We also get into how to make bootable backups other Apps like SuperDuper and Carbon Copy Cloner. 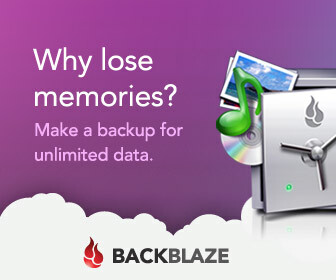 We also cover the importance of having an off-site backup and how to do that using a service like Backblaze. Below are a few basic USB Hard Drives that are all good options as a TimeMachine Backup Drive or to use as a bootable backup or “clone”. These drives are not the fastest option for data transfer but are low cost and provide a lot of storage space. I prioritize speed the least when picking a backup drive. I advise getting a Time Machine drive that is double the size of your Macs internal drive plus any external drives you will be backing up. 1, 2 and 4TB Portable Seagate USB Drive. Off-Site online Backup with Backblaze. I have been using Backblaze to backup my entire Mac and a large enternal drive. It’s easy to use and very affordable. If you are not yet an All Access subscriber, begin your free trial by selecting one of the membership options below. With an All Access Membership you can watch every single tutorial from TheMacU!